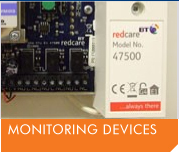 From fully monitored systems with police response using Redcare GSM, DualCom, Emizon, Pyronix TCD & IP and Digital Communicators to systems which will alert you and or your friends and family such as Vocaliser speech Diallers, SD1, SD2, and text diallers. 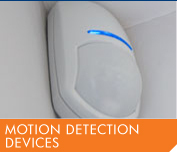 As well as remote monitoring our range of self actuating external and internal sounders will bring attention to your property should there be a break-in and act as 24hr deterrent using products from leading manufacturers such as the Texacom Odyssey 3 and Elmdene HS500. 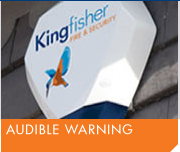 Our range of Grade 3 and Grade 2 detectors have been fully tested to reduce the risk of false alarms and include Quad Passive infra Reds (PIR’s) Dual Tech’s and Pet Immune including products from Pyronix KX15DQ, KX15DC & KX15DTAM, Texacom KX Series, Risco iWISE, as well as devices from other leading manufactures such as Visonic, Bosch, and Optex. 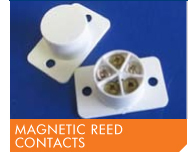 Our range of magnetic reed door and window contacts come from the UK’s leading manufacturers such as Elmdene and CQR and are fully Grade 2 or 3 complient. No matter what the door or window we can usually find a solution tosecure it. 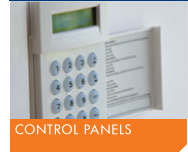 Our range of Wireless and radio alarm systems are ideal for those premises where a hard wired system is not practical. 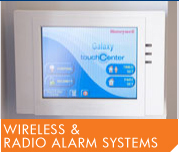 Wireless systems have not been the most reliable in the past and so we have gone to great lengths to research and identify only the best and most reliable products such as the Honeywell Galaxy RF Portal range and the Visonic Powermax.